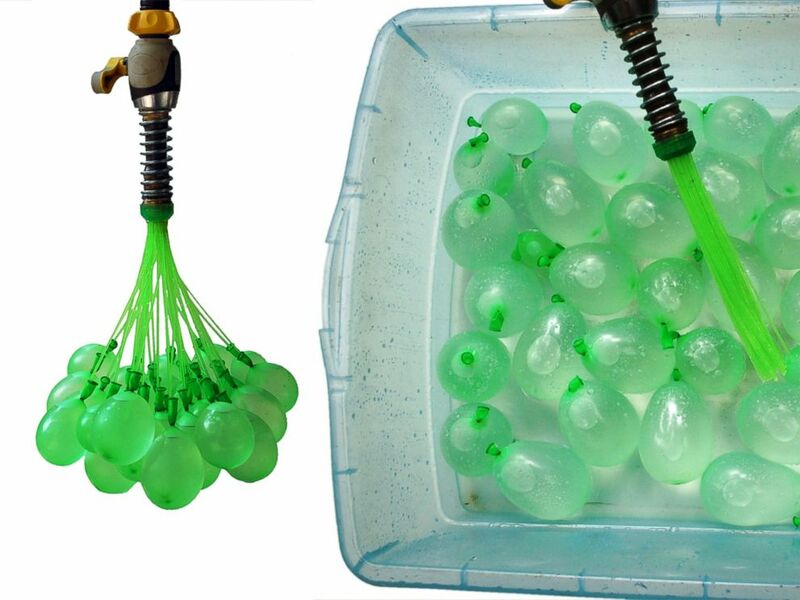 Josh Malone created Bunch o Balloons, a product that fills 100 water balloons in one minute. The product is called Bunch O Balloons and it’s just that, a bunch of balloons, 100 to be exact, with a special hose attachment that allows you to fill those 100 balloons with water in under one minute. After testing many ideas -- including one that involved filling balloons with marshmallows -- Malone, 41, came up with the idea to use a tube to transport the water from the hose into the balloons and using an elastic ring around the necks of the balloons to seal them. Once you tie the Bunch O Balloons attachment to the garden hose, the only other item you need is a small container filled with water below the hose to protect the balloons when they pop off the hose, sealed and filled with water. Malone first debuted Bunch O Balloons at the American International Toy Fair in New York City in February and launched a Kickstarter campaign Tuesday to raise money to bring the idea to mass production. “We sold out our entire capacity of them within 24 hours of when Kickstarter launched,” Malone said, noting a $15 pledge bought one package of Bunch O Balloons containing 100 water balloons. As of today, the Kickstarter campaign has raised over $121,000. Malone, an inventor by trade who owns his own design firm, says the approach he took to creating Bunch O Balloons is nothing new, literally.